Jillian Matlock lived for her job as Vice President for Corporate Communications for a software manufacturer. So much so that she had no time or energy for a social life beyond the office. That's why she was dating a coworker and subordinate, even though it was against company policy. She had, in fact, been dating him for months, until she walked into the office one Monday morning and found out that her erstwhile boyfriend wasn't interested in her. He had just been setting her up for a sexual harassment suit that would get him loads of cash and her job. Forced out of the company she loved and helped build, Jill takes off to lick her wounds and get her head on straight and ends up in the small town of Virgin River, where memories of childhood and a determination to work her way through her issues takes her life in a brand new direction. Wrapped up in his own problems and still slowly recovering from the helicopter crash that almost killed him, Colin Riordan is in Virgin River to paint and get his body back into shape so he can get back up to the sky he so loves. When he had set up his easel and paints in the empty field he found, his thoughts were focused on the natural light, not bears that would be newly out of hibernation. Those thoughts quickly turned to bears, though, when the bushes started rustling. Thankfully, he'd come prepared and he pulled out the gun he had loaded up for just that contingency. Instead of a bear, it was Jill, pushing her way thorough dense undergrowth to stare up at him. He almost shot her. It's a good thing he restrained himself, as her light laugh and indomitable spirit draw him to her like a moth to a flame. Soon he can't stop thinking about her, nor she him, but their idyllic summer fling has an expiration date, and when that date hits, he'll be gone. No matter how fond of her he grows or how much she comes to mean to him. 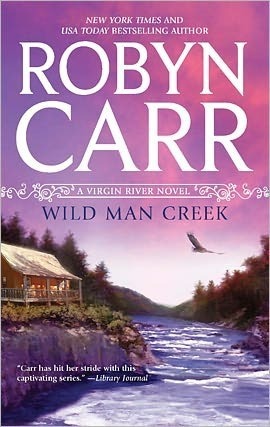 This twelfth book (two novella's make it fourteen titles in all) in Robyn Carr's Virgin River series is my first experience with Carr's books, and despite the wild popularity of the series, I had some issues with this one in both style and content. While the plot was okay conceptually, the narrative had some problems. There was a lot of repetition and readers are told again and again about things ranging from Jill's experience with gardening as a child, to Colin's plans when he leaves, to Jill's plans with the high-end veggies, and more. And when the narrative isn't bogged down with repetition, it's overburdened by excessive exclamation. None of the characters seemed to say or think things, they say! or think! them, as if everyone was either perpetually cheery or consistently emphatic. Not only did that get old quickly for me as a reader, but it stripped away much of the emotional range that rounds out characters, making them seem rather two dimensional and superficial. And exclamations were especially off-putting in Colin's dialogue. That's probably a personal preference, though. I like my big broody men to be big and broody, and the exclamations just seem too darn chippy. Beyond that, I had a lot of trouble liking either of the main characters. Within pages I knew I was going to have trouble with Jill, not for getting taken in by the jerkwad boyfriend, but for calling him again and again when she learns of his duplicity. The lack of common sense and appalling disregard for dignity really bothered me. I had higher hopes for a woman of obvious intelligence and competence. Thankfully, she improved, but the improvements lead to other issues I'll mention later. "He had never had a shortage of female company, that's for sure. One of his favorite things was to wash lipstick off his favorite organ in the morning-after shower..."
Seriously? This is the character that is the romantic lead in this contemporary romance? A guy who plans to leave - and reiterates those plans again and again throughout the book - and who not only thinks with his joystick, but devotes favorite pastimes to it? There just wasn't much that could be done after that to redeem his character for me. Not that much was tried. And that leads me to another bone of contention. There was no growth in the characters and no conflict in the story to spur that growth - either internal emotional conflict or external plot-based conflict. In fact, beyond the issues that drove them to Virgin Creek to begin with, absolutely everything goes exactly their way. Jill decides to start gardening professionally and everything falls into place beautifully. She's rich, and a hard worker, but come on - the lack of any obstacles was boring. And where was the angst over the past? It seemed like once she got to Virgin River and dug around in the dirt a bit she was completely unaffected by what had happened to her. Then there's Colin. He was horribly scarred physically and almost died in a helicopter crash, was a drug addict for all of a month (uh...yeah) and did time for buying on the street...but he didn't have so much as a single moment of emotional trauma to get over before he got groiny with a woman who might be put off by the scars or his history...and didn't so much as a flinch before he flew again? Really? And he's such a good artist that the first art gallery he goes to agrees to sell his work and he makes over a thousand dollars right away. Maybe I'm jaded...no, wait, I know I'm jaded, but still...the absolute lack of conflict for the main characters made them and their relationship hard to believe and impossible to relate to. The only significant conflict between them at all ended up being the inevitable parting at the end of the summer, and that wasn't enough for me to hold my attention through the book. There was one source of conflict in the book (besides Colin leaving), but as it turns out, it didn't involve the main characters at all. There was a subplot with a couple of secondary characters that added a bit of complexity to the plot, but it also served to highlight a tendency for characters to overreact in sometimes sweeping overemotional ways that weren't very appealing. Denny, the young man involved, became a completely different character than he'd been portrayed to that point and I just found it to be a bit too much to be believed. Without a doubt, the second half of the book was better for me than the first. There was still a lot of exclamation in the narrative, and the story bounced along on the no-personal-struggle highway, but there were some highlights that were nice. I did come to like how Jill and Colin were together as their relationship progressed, and I enjoyed Jill's relationship with her sister when she came to visit. I appreciated the supportive nature that Jill had when talking to Colin about the future, and thought that she handled it better than I would have in that situation. While I never totally warmed up to Colin, it was quite obvious that he was a better person with Jill in his life, and that was also a nice thing to see. Unfortunately, the few rays of sunshine didn't do enough to warm my reaction to the book any higher than two stars. Carr is obviously wildly successful as an author and with this series in particular. You can't get to twelve books and not have amassed a loyal following. For me, though, this book didn't have enough to keep me interested in the series and it had some things that turned me off the writing style entirely. I was left with very little to no interest in anything else that occurs in and around Virgin River, or to the characters created to be there. Normally I don't comment, but I have to say this - I could not make it through the one book I tried in this series. I tried and I tried and I tried. Could not turn one more page. The series was highly recommended to me. I'm so glad you did comment Julia! I was beginning to think I was a party of one in my feelings for this book in particular but the series in general. I can't conceive of reading another book in it. Thank you so much for breaking your silence! 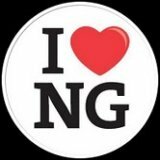 The series is so very popular I think nobody wants to express a different opinion. No, you're not a party of one! I do read all your reviews! That means a lot to me, Julia! Thanks for telling me!